New International Version Large Print Bible with 12pt, single-column text, cross-references and concordance. This soft-tone leather edition is ideal to give as a gift. Since it is very important for readers to see the words of the Bible clearly on the page. 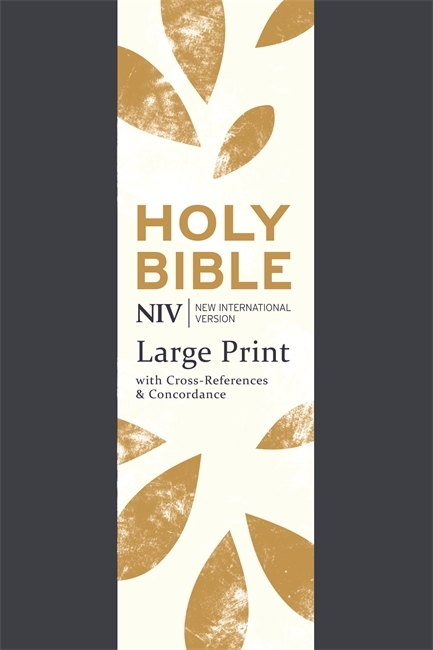 The increased text size used in this large print setting of the NIV Bible is 12pt on 14pt leading, which is very easy to read. Cross-references are included in the outer margin on each page. This Bible is bound in navy blue imitation leather material, with a beautiful presentation wrap, which may be removed. The Bible has two ribbon markers and the end papers feature the attractive gold leaf design of the card wrap. 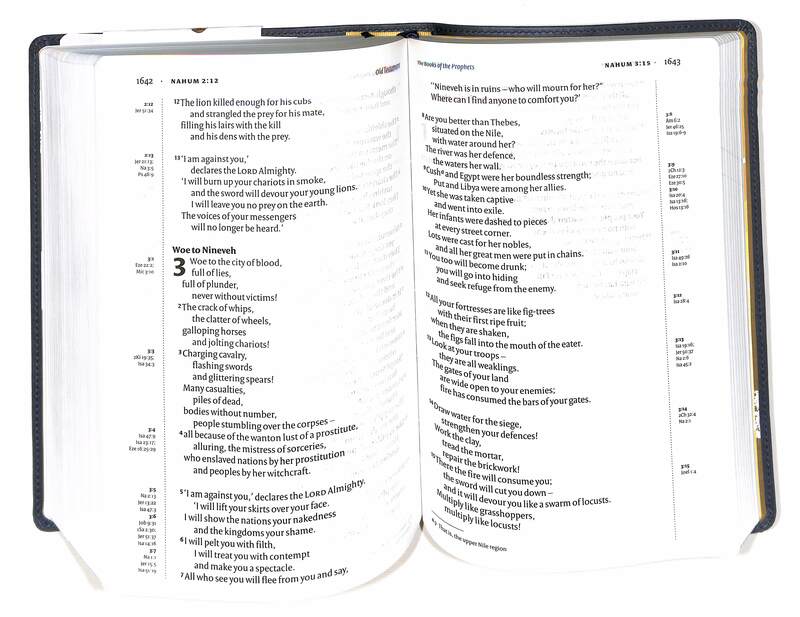 Please note that the page numbers of this Large Print NIV Bible do not match the page numbers of the NIV 2011 Pew Bibles. If this is important for you, you may wish to consider the NIV Clear Print Bible (ISBN 9781444745252). With over 400 million Bibles in print, the New International Version is the world's most popular modern English Bible. It is renowned for its combination of reliability and readability. Fully revised and updated for the first time in 25 years, the NIV is ideal for personal reading, public teaching and group study. 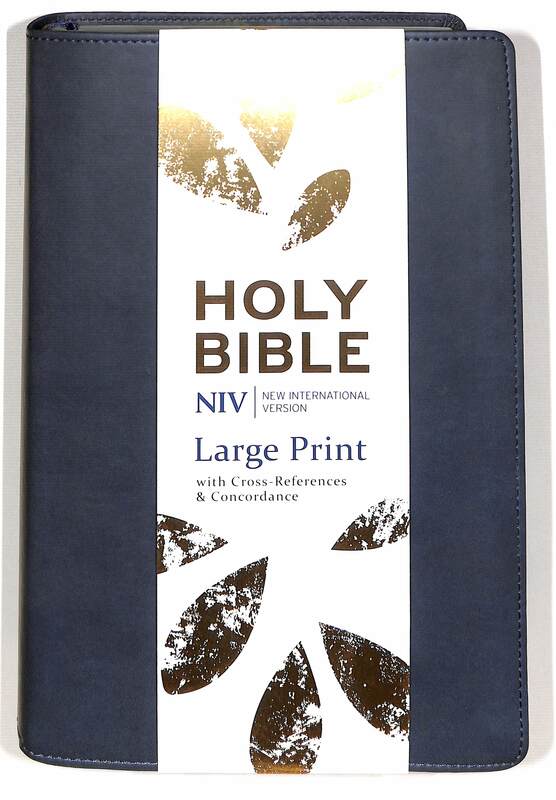 NIV Single Column Deluxe Reference Bible by New International Version was published by Hodder & Stoughton General Division in May 2015 and is our 4789th best seller. The ISBN for NIV Single Column Deluxe Reference Bible is 9781473607606. Be the first to review NIV Single Column Deluxe Reference Bible! Got a question? No problem! Just click here to ask us about NIV Single Column Deluxe Reference Bible. Please could you tell me what the measurements of this bible is? A:The dimensions are: Weight - 1238g Number of Pages - 2208 Thickness - 45 mm Height - 237 mm Thank you for using the Q&A Forum. A:The words of Christ are not in red in this Bible. Thank you for using the Q&A Forum.